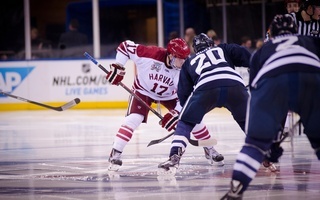 Coming off the 2014 Rivalry on Ice game against Yale, the Harvard men’s hockey team battled another ancient rival in No. 12 Cornell. The final score may have been closer, but the same frustration remained. 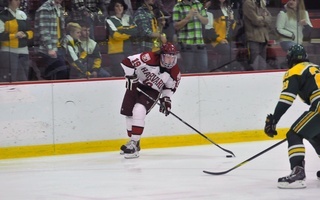 Giving up two goals in the final seconds of both the first and second period, as well as a shorthanded score in the first as well, the Crimson (5-9-3, 2-7-3 ECAC) could not come back against the visiting Big Red (9-4-3, 5-3-2), falling 3-2 Friday night at the Bright-Landry Hockey Center. With a fairly young team this season – 29 of the last 32 goals have been scored by underclassmen - Harvard has had difficulty putting together a complete 60-minute performance thus far. Again this was the case Friday night, with a few mistakes resulting in a Crimson loss. 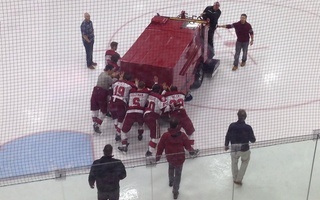 Both the first and third goals for Cornell were the result of ill-timed changes, leaving Harvard vulnerable without any support to defend the rushing Big Red skaters. 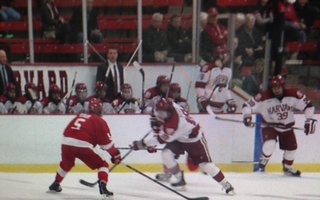 Madison Dias broke free and netted his first goal of the season to open the scoring, while Dustin Mowrey finished strong puck movement by Cornell and beat Crimson junior goalie Steve Michalek high glove side. 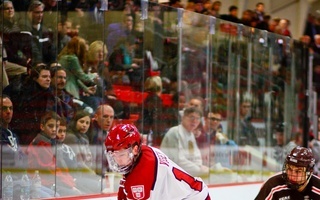 Harvard pressured the Big Red throughout the third, especially in the final half of the period, but was unable to find the equalizer, with senior goalie Andy Iles making half of his 22 saves in the final frame.